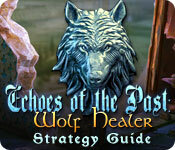 Echoes of the Past: Wolf Healer Strategy Guide is rated 3.5 out of 5 by 2. Rated 4 out of 5 by arnold1049 from I TRIED AND I BOUGHT I played the demo of this game and was so interested in the story and the challenges that I bought it and I was not disappointed. 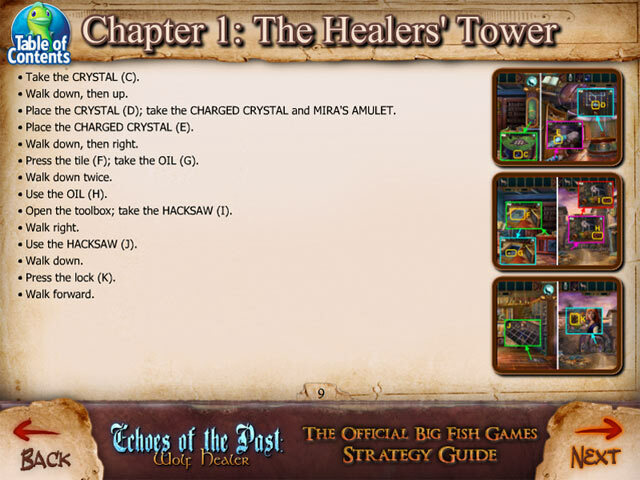 This game centers around the conflict between healers who can change between human and wolf forms and the soldiers controlled by the exiled wife of one of the healers. During the ceremony to promote the daughter of this union into the healers, the exiled wife sends her army to attack and the daughter and her father disappear. You must reunite the father and daughter and save the healers from extermination. Want to make a bet on how it ends? 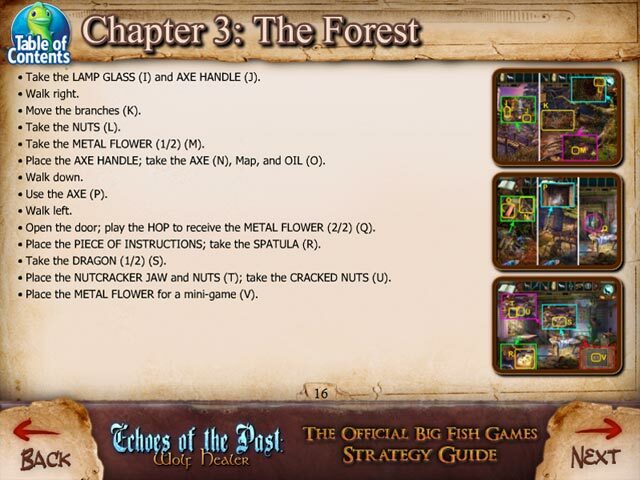 LOL The game play was pretty linear and there was a map to help you navigate. Once you were done with one area, a new map would come into play. Rarely did I have to go back more than 2 locations to continue the game. This is a real plus for me. 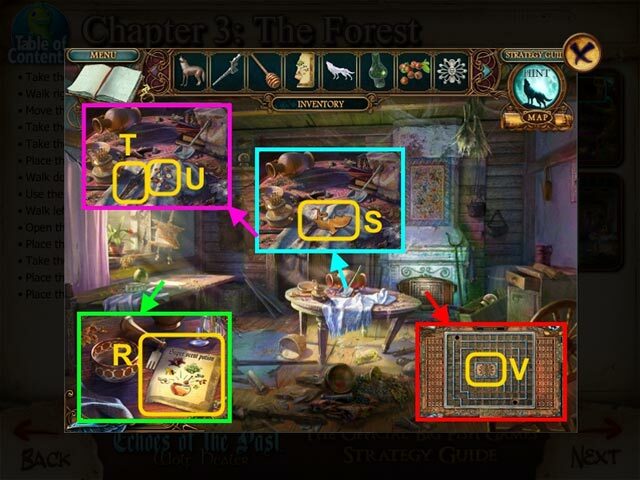 I played in the easiest mode and even then I found the mini puzzles to be extremely hard. I think I skipped more than I completed. But, then I get pretty impatient and if I can't solve it quickly I just move on. The HOS were also challenging and varied. Sometimes you worked from a list, other times you had to solve riddles to find the object. There was one item, a "tasset" that I had no clue what to look for. It turned out to be metal shorts. The HOS were all relative to the time the story is set in, so the "tasset" was in line with that theme. The hint button worked outside the HOS as well and was another way to find the next active location. This was nice to have both the map and the hint button lead the way. The graphics were excellent. I played without sound or musics, as is my usual manner of play. The length was just right; not too long and not too short. I think I played it in about 2 long sessions. This is a very entertaining game and I enjoyed playing it.